After migrating to Windows on my old laptop and installing WSL, I also wanted to get up to speed on Anaconda. 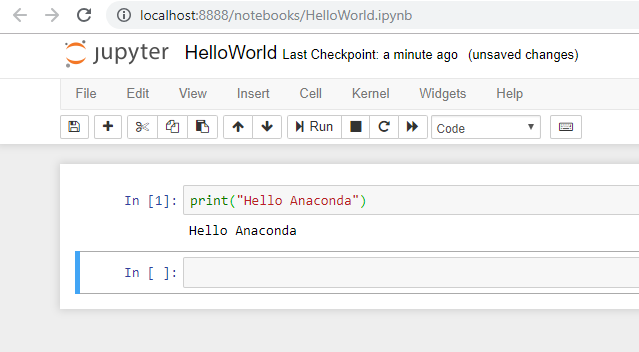 I’d previously used Anaconda as a simple Python install on Windows, but haven’t had time to really get into the data science libraries it offers. Downloading and running the 64-bit Windows installer for Python 3.7 was straight-forward. This gets one a good number of default packages, with more available via the conda package manager. 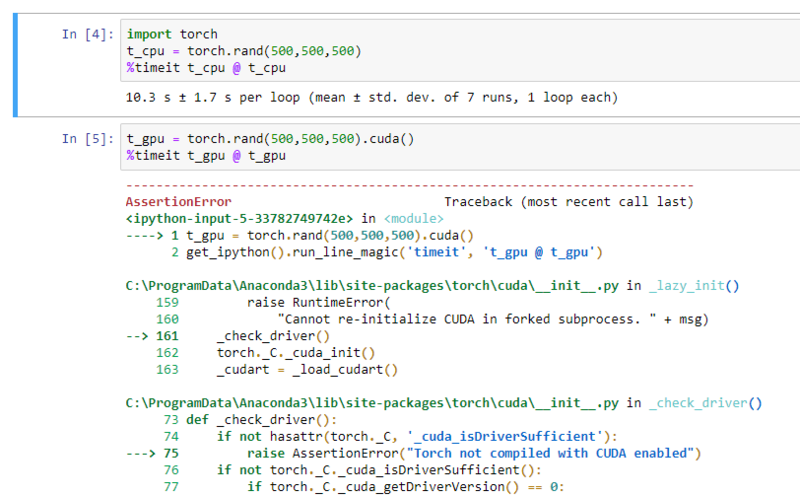 I mean, CUDA specifically is built for Nvidia GPUs. 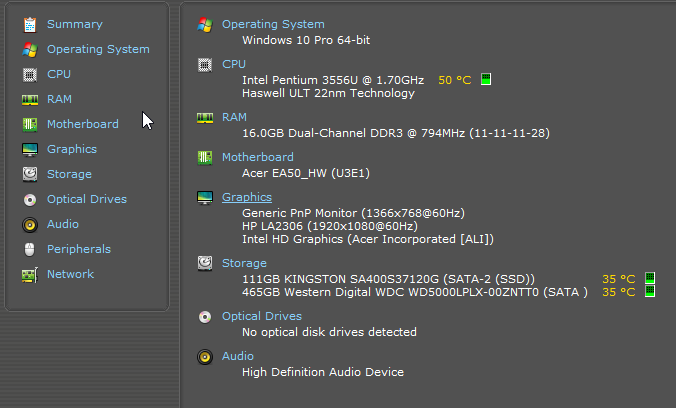 Even my recently built budget gaming PC with a decent AMD APU won’t work with CUDA. As you can see, my old laptop very slowly executed the CPU test, but errored on the GPU test.